​There's few countries that a visit constitutes a political statement - Cuba is one of them. But first. Go Now! The primary reason to go now is because it's a period of relative calm and stability. Raul Castro is still in power. Once he's gone all bets are off regardless of US action or inaction. Cuba has been receiving a lot of press recently. In 2014 President Obama lifted travel restrictions creating several categories for which it was permissible for Americans to visit Cuba. You needed to declare whether the visit was for family purposes, if you were a journalist (an no having a website or a blog doesn't count), educational activities, religious activities, etc. And the nebulous "person to person" category which essentially was a catch all or all catch alls. Basically if you wanted to go to Cuba you could check "person to person" and you were free to go. With these new standards in place, my curiosity piqued, however, there was one annoying catch - you needed to apply for travel through the US State Department, which would take time, or have a third party agency handle the travel preparations, for an exorbitant fee. On top of those hassles, no US airline was permitted to fly to Cuba. Fast forward to late 2016 and the US began allowing US Airlines to fly to Cuba AND shifted the Declaration responsibility to the airlines. That's a huge AND. Now all US citizens needed to do to visit Cuba was just book a ticket. I waited. I waited. I finally booked a ticket when my brother was home for two months working in New York. Everyone we talked to recommended staying at an Airbnb. There is one very practical reason to stay at an Airbnb. You can pay with a credit card in advance. I'm not sure how that's not an OFAC violation on Airbnb's part but it streamlined the process and limited how much cash we had to bring through customs. I'd just make sure the Airbnb has an air-conditioning unit in the room, otherwise you may be in for a long and hot night. 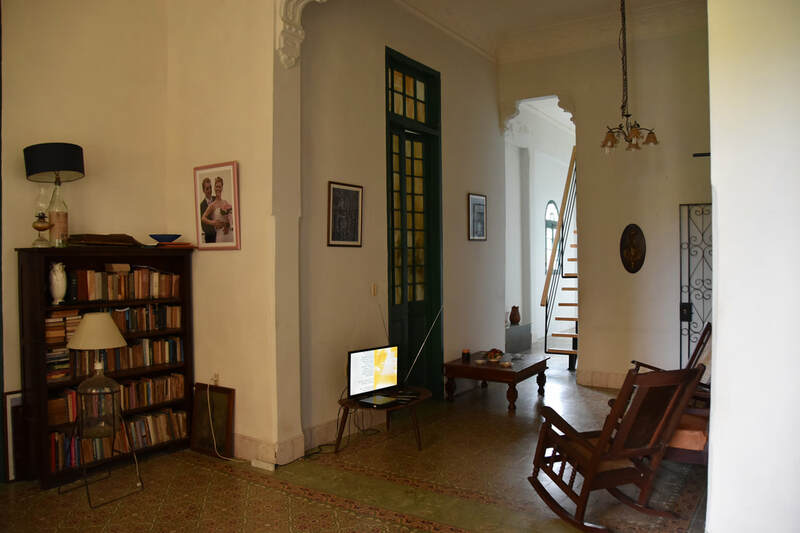 The other common accommodation recommendation was to stay in Vedado instead of Old Havana. 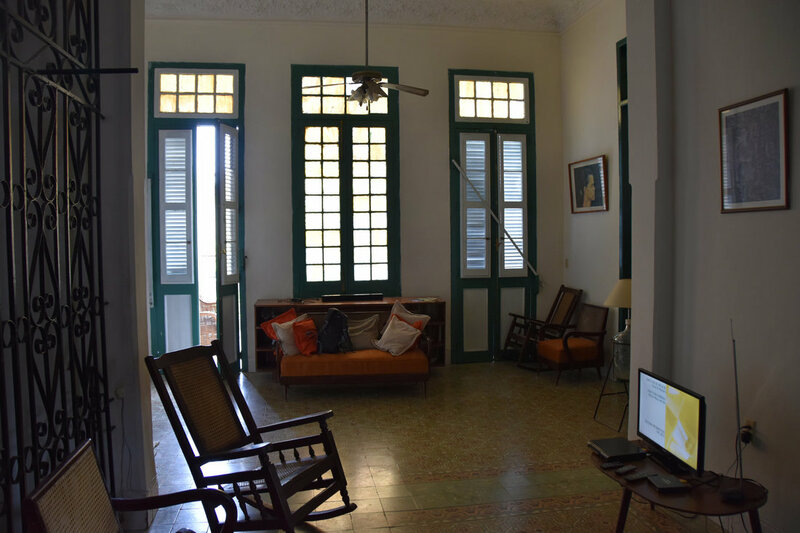 I was tempted to stay in Old Havana, however, no regrets that we stayed in Vedado. Once we arrive in Old Havana on our first day, I was glad we weren't staying there. 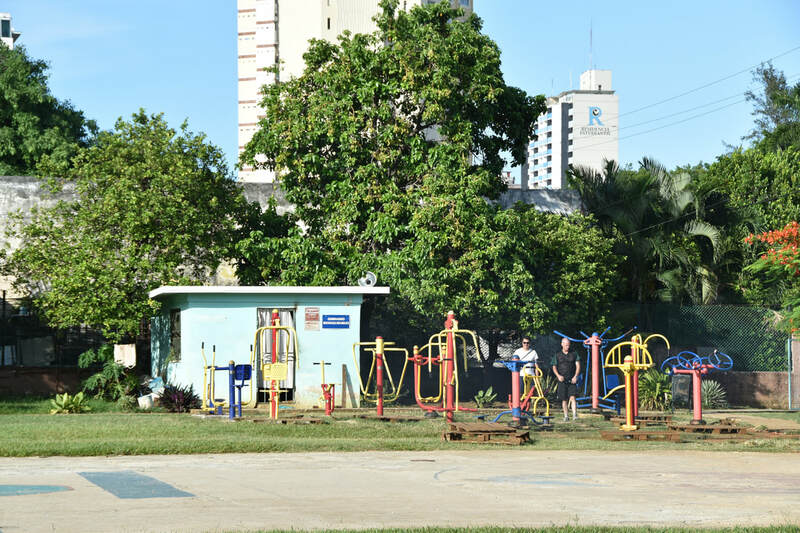 The area is a bit run down and many of the better restaurants and nightlife is concentrated in the Vedado area. 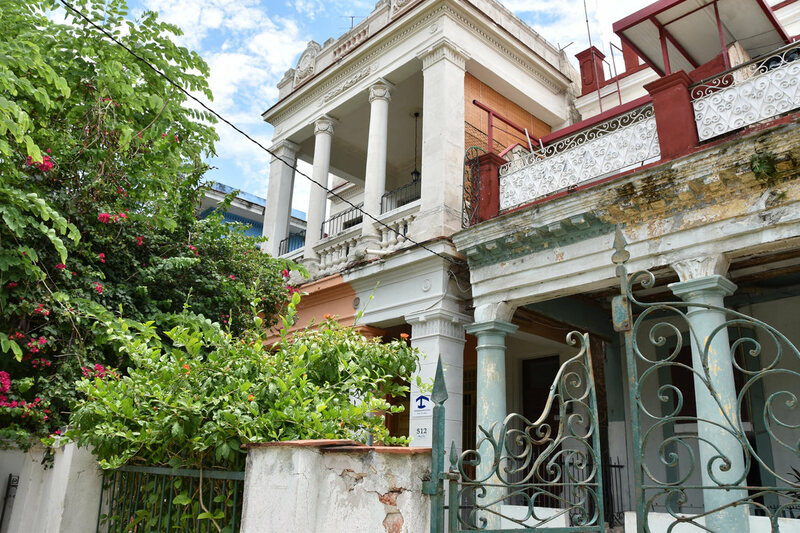 Within Vedado, I wouldn't stay west of Avenida Paseo or south of Calle 23, two of the main streets in the area. If you are staying in Havana long term, being close to Calle 23 is advantageous because most of the bus lines run along this road. Avenida de los Presidentes and Linea are two other major thoroughfares. Avenida de los Presidentes has several hotels with a Wi-Fi connection. Oh yeah, WiFi. Why bother with WiFi in Cuba? Vedado is set up in a grid format. For a back of the napkin calculation on walking times - it takes a minute thirty to two minutes per block depending if you are stopping to take photos. It is a very American thing to contemplate, form an opinion, and confidently develop a foreign relations action plan for any country. In most cases Americans have never visited the country and know nothing about the country beyond what some talking head, who's an expert on everything, tells them. Miraculously Americans opinions on countries divide exactly down the partisan political spectrum. Miraculously. Americans have opinions on the Middle East. They have opinions on China. On North Korea. On Iran. On Cuba. Etc. The Middle Easterners, the Chinese, the Iranians, the Cubans...they don't spend time hatching plans on American foreign relations or American conduct. As proof - Cubans seemed to love Americans. Over fifty years of sanctions and Cubans don't seem to have any hard feelings. Imagine if the situation was reversed. The friendliness means that Havana is safe - the most likely type of injury would be from tripping over a chunk of missing sidewalk (although that's not a rampant issue). I say this with a bit of an asterisk because Cuba doesn't keep much data on crime statistics; even if they did, I doubt they'd be reliable. In theory though, if the country wasn't safe, there'd be horror stories from every American returning - about how Cubans treated them poorly or how Cubans robbed them - that isn't the case. I set zero expectations prior to the visit. Cuba falls squarely into the travel snob category. When hearing and reading and viewing about visits it's difficult to separate the "it's amazing" because I went there and you didn't from the it's truly amazing. 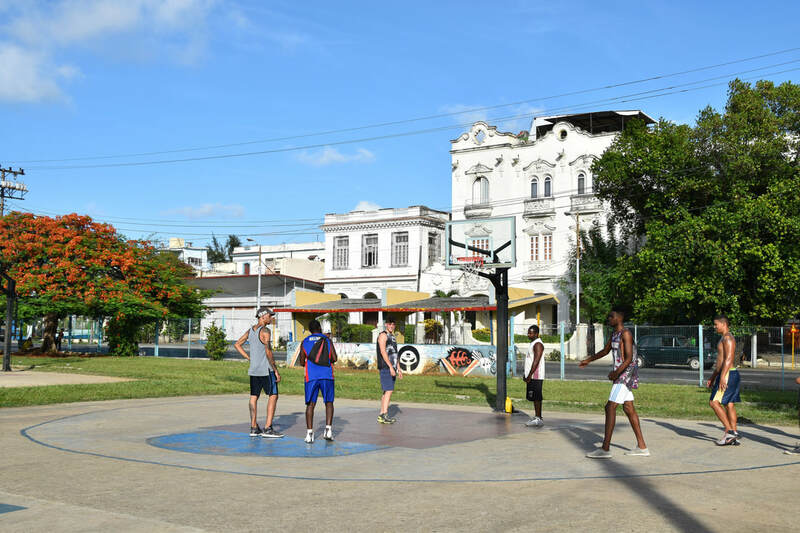 Cuba checks all the boxes from a traveler's perspective but it's doesn't mean from a broader perspective that the place is amazing. I wouldn't call Havana and Cuba amazing. It's not Paris. It's India without the noise, without the dirt, without the madness - you can actually enjoy yourself in Havana without keeping your head on a swivel looking for tuktuks and pickpockets. The only thing I can say definitively about Cuba, is it's a complicated place. I have more questions after visiting than before I arrived. There's a buzz about Cuba that makes this is a great time to visit. Definitely visit before sanctions are lifted and there's a Starbucks and McDonalds on every corner. Although I think the coming Americanization is overblown, just because the US would allow McDonalds to expand into Cuba doesn't mean Cuba will allow McDonalds to enter. Today Cubans can buy a Hyundai Elantra for $70K - the average Cuban earns $25 a month - so I'm not sure if Ford and Chevrolet are going to come barging in and start racking up the sales. Americans don't seem to grasp that free trade is a two-way street. Cuba is unlikely to participate - which is why the US should open up trade. Call Cuba's bluff. Currently Castro can say the reason Cubans don't have access to McDonald's is because of America. Cubans rally around him. Give Cubans access to McDonalds, try to make it available, see if Cubans stop rallying around Castro. There are practical, infrastructure standpoints that will limit the "opening" of Cuba. Havana's Jose Marti airport has a single runway - five planes can land an hour. How exactly are all the people associated with the Americanization going to arrive? The roads are actually in decent shape. Havana doesn't need the American chains. The City's restaurant and nightlife is just starting to come into its own. Places like El Cocinetro, La Fabrica de Artista, Los Naranjos, and Vistamar are amazing and creative places for anywhere not just Cuba. These would be the coolest places in New York, Miami, and Los Angeles too. The downside, is if you are a Cuban you can't enjoy these new places because they are out of your price range. Prior to arrival I didn't expect that my "local" Cuban experiences would involve dining with loud, obnoxious, under 25 years old Americans. It does. If you are trying to go local, it is very, very difficult. Going local is much easier said than done because there isn't a local. I always enjoy buying local snacks and candy - I left Cuba convinced they don't sell potato chips or any equivalent snack food. Forget finding potato chips, we could barely find any stores or any kind. Are there grocery stores? Clothing stores? Toiletry stores? Car dealerships? Even gas stations? We did eventually find these places but it took persistent and a lot of wandering. The government controls everything, literally. That Airbnb house? Most likely the government assigned that house to the host years ago. The reason the buildings look so old - forget new construction there's not even hardware stores. Connecting to the Internet? It's a process that I didn't even bother trying to figure out. If the US really wanted to break Cuba, if US leaders really wanted Castro out of office, what they should do is release all travel restrictions and unleash the Spring Breakers on Cuba. A bunch of partying hard, throwing cash around, clogging up the best restaurants, bars, etc., driving the prices up for cabs, for beer, for everything - a bunch of 18, 19, 20 year olds doing this, flaunting their wealth in the face of people who have nothing will drive Cubans crazy. I'm sure of it. It may destroy Cuba as we know it. So go now before US leaders come to the conclusion that the best way for regime change is to throw obnoxious Americans at the situation.